Bounded by the Loire Valley and Alps, the Ardèche Region offers the summer traveler a full range of unique cultural, scenic, sporting and relaxation experiences. From river rapids for the intrepid canoe or kayak enthusiast to picturesque medieval villages, the Ardèche Region caters to full range of summer interests. Modern accommodation ensures comfort while exploring the riches of Ardèche. The Region’s larger cities include the capital Privas, as well as Aubenas, Montelimar and Valence. Valence is only two and a half hours by train from Paris and one hour from Marseille (if taking the TGV). This trip is perfect for the traveller who wants a destination that many tourists are unlikely to visit or even know about. This article suggests just five of the many fun activities you can enjoy in the Ardèche Region this summer. Have you ever wanted to live in a castle? The Ardèche Region offers several opportunities for you to feel like a king or queen or indulge your princes and princesses. These castles include Château de Sampzon, Château de Bessas, and Château Clément. 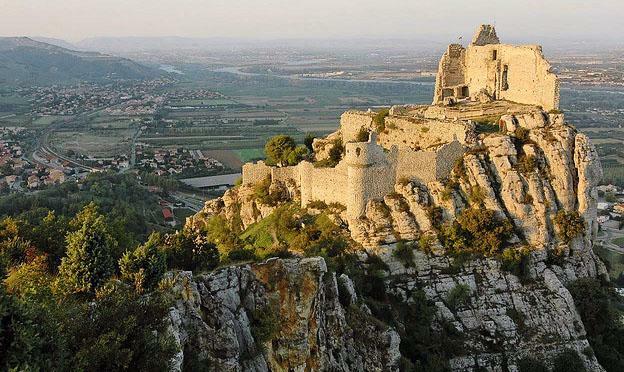 Perfect for a honeymoon or families with children, you can find castles in Ardèche that provide luxuries such as renovated flats and outdoor swimming pools as well as excellent photographic backdrops for your vacation photos. Mont Gerbier de Jonc is both the source of the Loire River and a source of fun for hikers and mountaineers. With an elevation of 1,551 meters, Mont Gerbier de Jonc is a bit of a challenge, but well worth the view. The mountain region has routes for cyclists as well as opportunities for rock climbing. For the truly adventurous, try paragliding off the mountain top. Described as the “Grand Canyon of Europe”, the Gorges of the Ardèche attract both artists and outdoor adventurers. 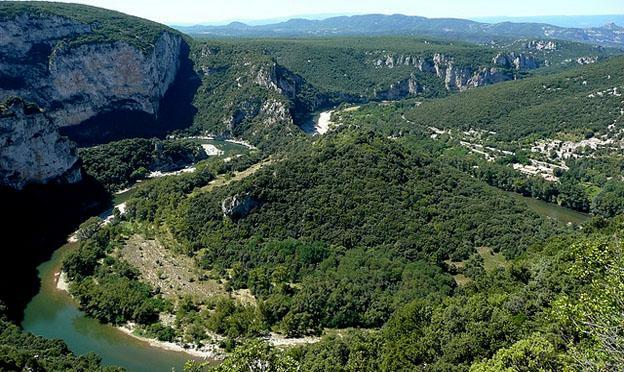 This 30 kilometer stretch of the Ardèche River is considered one of the most scenic natural wonders in France. 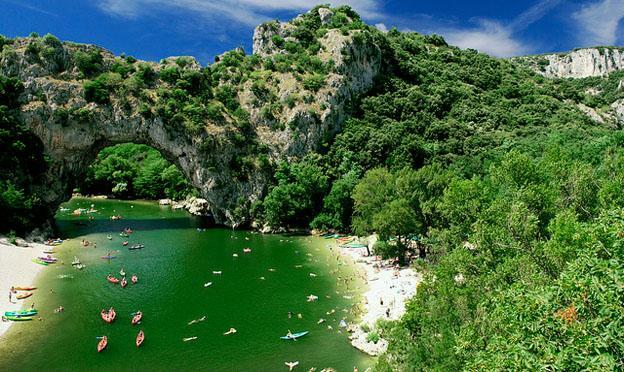 By renting a canoe or kayak visitors can paddle along the river surrounded by limestone cliffs up to 300 metres and under the Pont d’Arc, the largest natural bridge in Europe. While the experience is fun and exciting due to the scenery, the river is calm enough for most fit travellers to enjoy without requiring a great deal of experience or skill. Camping is also available. The Gorges of the Ardèche is also a suitable destination for painters and photographers as the location offers many spectacular vistas. Anyone who likes being in beautiful places may appreciate spending time relaxing on the banks of the river. If you want to relax, consider a visit to one of Ardèche’s spa towns: Neyrac-les-Bain, St Laurent-les-Bain, and Vale-les-Bain. Ardèche has both hot thermal waters and cold-water springs so you have options to meet your spa needs. Spa resorts offer a variety of health and beauty treatments, nutritional advice, and relaxation sessions which can be a wonderful vacation from your vacation. These lovely towns also provide opportunities for walking tours and sampling the local cuisine. The region has several medieval cities which contain beautiful architecture and a sense of history. For example, the town of Vogüé, with a current population of under 1000, is officially listed as a “Village de caractère” (a Town with Character) by the French Ministry of Tourism. The Château de Vogüé originally built in the 12th century and the L’église Sainte-Marie from the 11th century are among the many ancient buildings you can view as you tour Vogüé. There is nothing like spending a day wandering the streets of an ancient city, practising your French with the locals and taking in the rich cultural atmosphere.